Disclaimer: Cramming the night before a test is never the best strategy. These tips are only to help you at the last minute when necessary, not to give you a reason to delay preparing well for a test. The Scenario: It’s Sunday night. You’ve had a long, fun weekend and then you realize you have a history test Monday morning...uh oh…OMG!!!! You start to feel like it’s the end of the world, maybe consider bribing your teacher, or maybe even think of skipping school tomorrow. Most high school students are busy juggling homework, sports, extra-curricular activities, the social scene, adolescent pressures, and tests/exams. At this time of year, it’s common to feel a little burnt-out with all those demands - and there’s also the awkward start-back-up again feeling to deal with, happening after winter or spring breaks. What should a student do when that “uh oh” moment occurs and they need to cram for an exam the night before? Cramming at the last minute is not an optimal method to study; however, here are some useful tools to have in your Academic First Aid Kit when you’re in crunch mode (and hopefully, that's rare!). 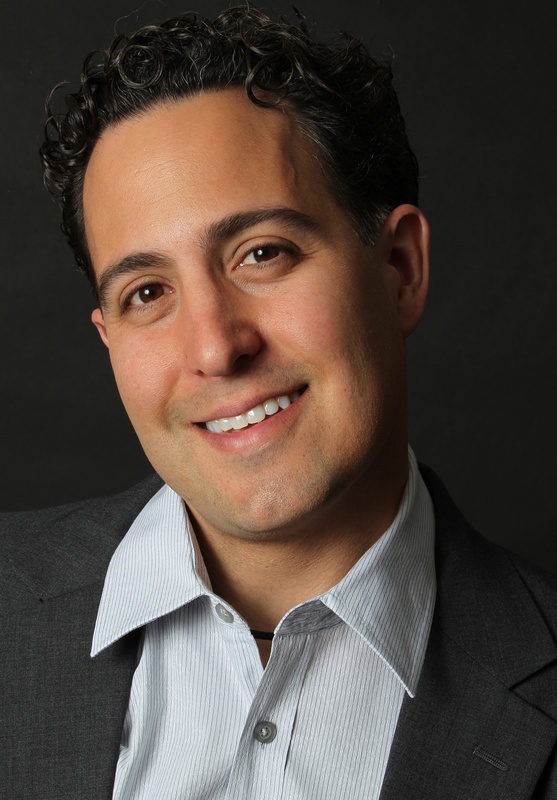 Editor's note: This week, we feature guest blogger David Recine, a test prep expert at Magoosh. Please see David's bio below. What tips do you need to follow to ace the SAT? That depends at least partly on your own skills and learning needs. 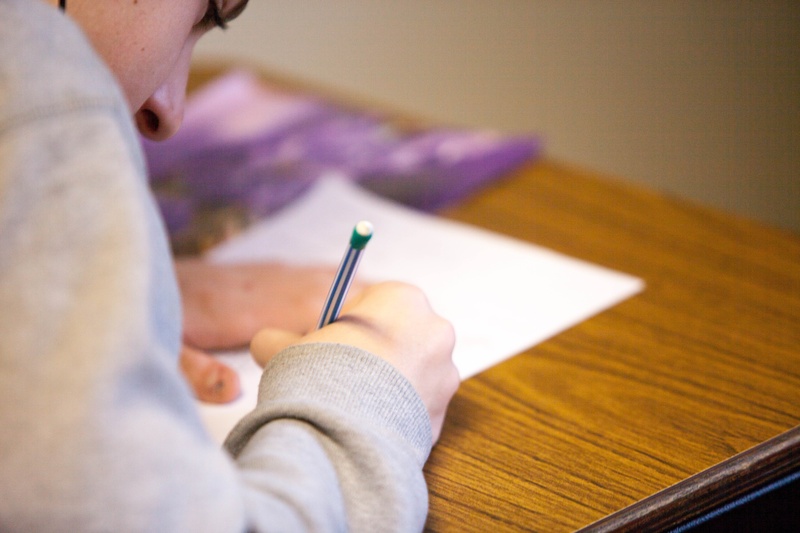 But here are four tips that can help any student get a strong start as they embark on their SAT preparation and chart their own best path to success. The scent of June’s peonies in the air brings the promise of blissful interludes at the beach for our students. But hold on. Keep the cap on the Coppertone for now. Preparing for final exams is now top priority for our weary scholars. “Planning,” we say, all cool and confident. 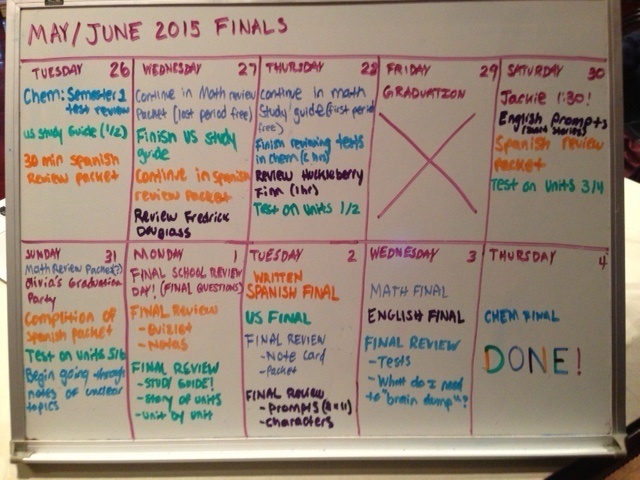 As Executive Function coaches, we are busy sharing study tips for finals with our students. The first step is creating a game plan. Here’s one great real-life example of what that planning can look like (plus a bonus example! ).